Staying Physically fit and mentally refreshed is a must for every student. The best way to make it happen is through sports. 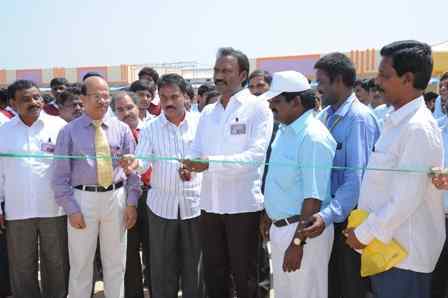 We have Sports Centre, functioning to ensure the needs of sports activities in the college campus. 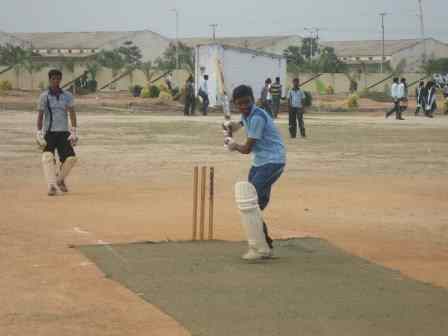 A large playground is equipped in the campus for Cricket, Hockey, Football, Basketball and other out door games as well as various indoor games are provided. It is the training and facilities that have helped St. Ann's in registering victory in various competitions. 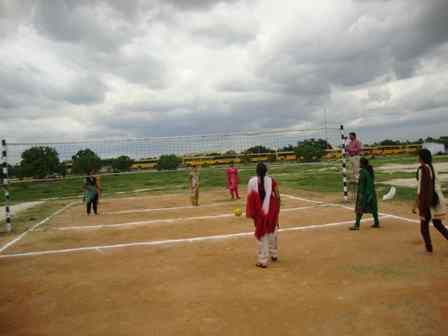 "Sports Ustav" and District Level Tournaments are conducted periodically. 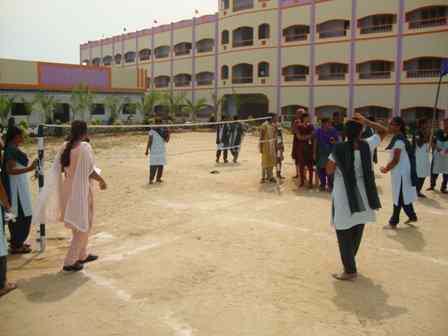 Sports & Games are played every day after the last period (i.e., after 3.30 pm). Latest Equipments are provided for daily practice. 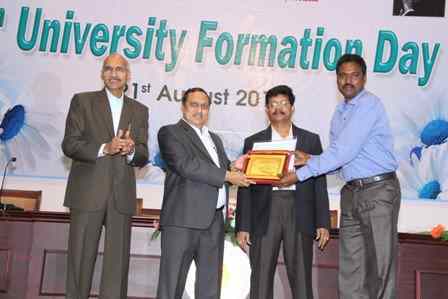 Management of the college are approached for further development of Sports & Games activities like Indoor Stadium, Tennis court, Expansion of the play fields and permanent building for Physical Education Department near play field. College team stood as winners in volley ball tournament held at Gudlavalleru, Engg. College from 28-12-13 to 30-12-13. One student stood as winner in JNTUK (Zone-D) Weight lifting competitions held at Vijayawada from 29-12-13 to 30-12-13. 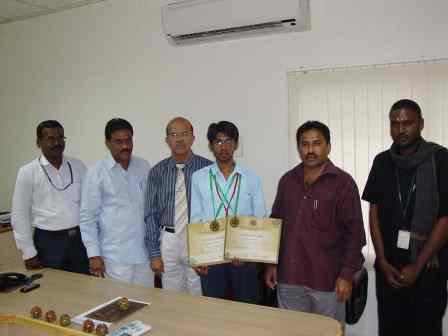 Two students stood as winners in JNTUK (Zone-D) Weight lifting competitions held at Vijayawada from 29-12-13 to 30-12-13. One student stood as winner in JNTUK (Zone-D) Power lifting competitions held at Vijayawada from 29-12-13 to 30-12-13. One student stood as runner in JNTUK (Zone-D) Weight lifting competitions held at Vijayawada from 29-12-13 to 30-12-13. One student secured third place in JNTUK (Zone-D) Power lifting competitions held at Vijayawada from 29-12-13 to 30-12-13. The college volley ball team stood as winners in national level volley ball tournament held at Chalapathi institute of technology, Guntur from 4-02-14 to 06-02-14. 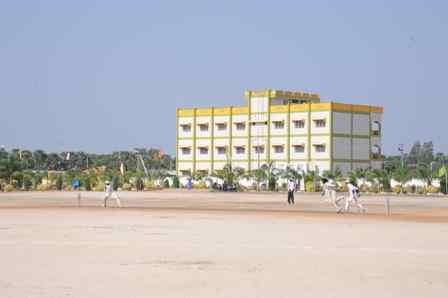 The college cricket team stood as runners in national level cricket tournament held at Chalapathi institute of Technology from 05-02-14 to 11-02-14. Three students got selected in All India inter university Body building, powerlifting, and weight lifting selections held at JNTUK, KAKINADA on 16-02-14. The college team stood as winners in volley ball Zone-D competitions held at PACE Egg. College, Ongole from 21-02-14 to 22-02-14. 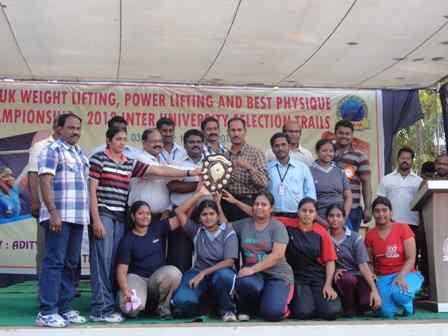 One student stood as winner in Wight lifting and powerlifting competitions held at Chirala Engg.college form 01-02-14 to 03 -02-14. The college team stood as winners in volley ball competitions held at Vignan University from 11-02-14 to 12-02-14. The college team stood as winners in Inter district volley ball competitions held at SACET from 17-02-14 to 18-02-14. Two students stood as winners in JNTUK (Zone-D) badminton competitions held at PACE Engg.from 21-02-14 to 22-02-14. The college volley ball team stood as winners in State Level sports Carnival held at Chalapathi Engg. College, Guntur from 1-3-14 to 3-3-14. The college cricket team stood as winners in JNTUK (Zone-D) cricket tournament held at V.R.S & Y.R.N College, chirala 09-3-14 to 18-3-14. The college volley ball team stood as winners in JNTUK Central zone tournaments held at JNTUK from 21-03-14 to 24-03-14.